Ok... so I kinda got on a roll and flew through the last three seasons of Clone Wars. Season 6 is interesting since it's the season of "Lost Episodes." It turns out they were halfway through production of this season when they decided to cancel the Clone Wars TV show. They decided to finish up production on the first set of episodes they were working on but they didn't actually air until much later. Now they're on Netflix as part of the show. It's interesting to see how much better they've gotten at storytelling by season 6. None of it packs the punch of the Ahsoka story arc at the end of season 5, but there are a bunch of good episodes in this "Lost Season." There are four main story arcs in the season and I felt that two of them were worth my time. One of the others was about politics with Padme. The one that made me cringe was all about Jar Jar and Mace Windu going on a mission together. But the very first arc of the season is about a clone trooper who has order 66 activate early and kills a Jedi. The rest of the story arc is about another clone trying to get to the bottom of what happened and if there's something mentally wrong with all clones. It was well done. 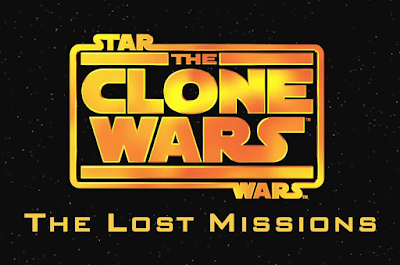 Clone episodes tended to be good throughout the entire run of the show. The best story arc was the final one that closed out the show. It starred Yoda and his journey to learn about becoming a force ghost when he dies. It directly ties into the original trilogy as well as the prequel movies. It gives more depth to yoda as a character and shows new aspects of the force. It's right up there with the best story arcs in the entire show. And that closed out Clone Wars for me. The Yoda story arc is where the Clone Wars ends. After that it's Episode III Revenge of the Sith. I'm glad that I've watched the Clone Wars because now I'm once again 100% caught up on the Star Wars canon... but I wouldn't actually recommend it as a show. Your time is much better spent watching Star Wars Rebels or just revisiting the movies themselves. Clone Wars finds it's feet by the end but it really struggles to get there.